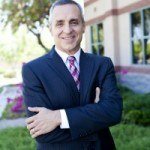 Home > Blog > Which Lawsuits Can Be Determined In Federal Courts? Federal courts are courts of limited jurisdiction. Unlike State courts, which have general jurisdiction and have the power to hear most cases arising under the state or federal law, Federal courts can only determine very specific types of lawsuits. The jurisdiction of Federal courts is defined by the United States Constitution, Congressional Statutes, and opinions from the Supreme Court of the United States. Under Article III of the United States Constitution, Federal courts’ jurisdiction is limited to two specific types of cases: (1) lawsuits that arise from under federal question jurisdiction, and (2) lawsuits that meet the diversity of citizenship requirement. For a question to arise under federal question jurisdiction, it must be related to a federal law. Lawsuits arise under federal law if the issue concerns either the United States Constitution, congressional statutes, or treaties. For instance, Federal courts have jurisdiction over all lawsuits that involve violations of the Constitution (i.e. violation of an individual’s rights protected under the Bills of Rights) or federal law (i.e. antitrust, and employment discrimination), federal crimes (i.e. kidnapping or bank robbery), and crimes committed on Federal land. Federal courts also have original jurisdiction over lawsuits that concern issues such as bankruptcy, intellectual property (patent or copyright), federal tax, securities law, immigration, and maritime law. In addition, Federal courts have original jurisdiction over all lawsuits involving the United States government or one of its agencies (i.e. FBI, IRS, etc. ), cases involving foreign governments (i.e. treaties of the United States), and controversies between two or more states. For certain lawsuits, both Federal courts and State courts have concurrent jurisdiction. Federal courts have concurrent jurisdiction over lawsuits related to civil rights issues, labor rights issues, and environmental claims. If an individual has a lawsuit related to one of the issues mentioned above, he or she has the choice to file in a Federal court or a State court. However, Phoenix litigation attorney’s will look at several factors to determine if a Federal court is the best court to file the lawsuit in. If the lawsuit does not arise under the Federal question jurisdiction, Federal courts may still hear the lawsuit if diversity of citizenship is established. For Federal courts to hear a lawsuit arising under diversity jurisdiction, the claim must meet certain requirements. First, the lawsuit has to be between residents of two different states. For example, an individual from Arizona can sue a resident of Texas for breach of contract (a state law issue) in Federal court. In addition, there has to be complete diversity between the two parties. No plaintiff can be a citizen of the same state as any of the defendants. For diversity jurisdiction purposes, a person is considered a citizen of the state where he or she is domiciled. Corporations, on the other hand, are citizens of the states in which they are incorporated and the state in which they maintain a principal place of business. For example, if an individual from Arizona files a lawsuit against a company whose primary place of business is New Jersey and is incorporated in Virginia, for purposes of diversity jurisdiction, the company is domiciled in both New Jersey and Virginia. However, because the plaintiff is domiciled in Arizona, there is complete diversity between the two parties. The rule for limited liability companies is different. For purposes of determining diversity, citizenship of a limited liability company is determined by the citizenship of its members. Additionally, under certain circumstances complete diversity is established between two parties that are living in the same state if one of the parties (either the plaintiff or defendant) is in the United States on a temporary visa status, this is more commonly referred as “Alienage.” For example, an individual residing in New York on a temporary visa status (i.e. H-3: Trainee or Special Education visitor) can be sued by a fellow New York resident in a Federal court. Under such circumstances, Federal courts have jurisdiction because an individual in New York on a temporary visa is not considered a citizen of New York. The second requirement for diversity jurisdiction is that the amount in dispute must be greater than $75,000. For example, if an individual from California files a lawsuit against a resident of Massachusetts for $75,800, a Federal court will have jurisdiction. However, if the amount is exactly $75,000, Federal courts will not have jurisdiction, thus amount in controversy must be at least $75,001. Thus, for diversity jurisdiction purposes, members of both parties must be citizens of different states and the amount in dispute must be greater than $75,000. Federal courts can decide a lawsuit if 1) the case arises under the federal question jurisdiction or meets the diversity of citizenship requirement. If neither of those requirements are met, the suit must be filed in a state court. However, determining whether either requirement applies to your case is usually not as clear-cut at it may initially seem. 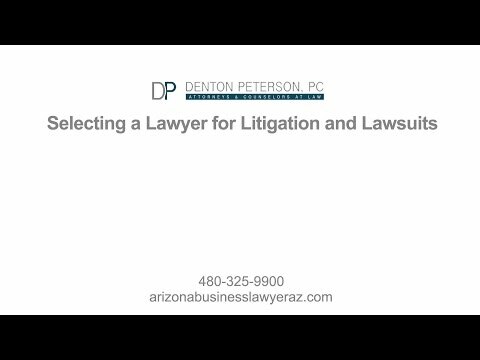 Contact Denton Peterson PC to consult with an experienced litigation attorney in Scottsdale to help you decide in which court you should file your lawsuit.